Distribution and habitat: Pteris cretica is almost pantropical in distribution. Because this species is so commonly and widely cultivated and appears to escape easily in warmer regions, its native range is uncertain. These ferns are founded in the rocky woods of warm temperate forests – warm being relative since winters hardiness of these ferns can get rather cold and even snowy at times. They seem to like vertical habitats, either on actual rock walls or on steep slopes. Description: Pteris cretica produces clumps of fronds from the short underground rhizomes. As the upright fronds grow tall, they tend to arch over at the tip. Pteris cretica has only one kind of fronds, which is about 30cm (12 inch) long, 20cm (8 inch) wide and light to medium green. The frond stalk is about 15cm (6 inch) long and is black. Each frond blade has up to four pairs of pinnae and a single terminal pinna. Each strap-shaped pinna is up to 10cm (4 inch) long and about 2cm (0.8 inch) wide and it tapers to a point. In fertile specimens the spore cases can be borne on all pinnae. Houseplant care: Cut away the older, outer fronds of Pteris cretica if they become shabby-looking. There are generally new fronds ready to unfurl from the many growing points on the rhizome to take their places. Pteris cretica have a moderate rate of growth, reaching the full maturity and height in 2 to 5 years. Light: Give to Pteris cretica ferns bright light throughout the year, but never expose them to direct sunlight. Temperature: Normal room temperatures are suitable for Pteris cretica throughout the year. Whenever temperature remain above 18°C (64°F) for more than two or three days it is a good idea to stand pots on trays of moist pebbles and mist-spray plants daily. Minimum tolerable temperature is 13°C (55°F). Water: These ferns cannot tolerate dryness around their roots. Water them plentifully at all times, giving enough water to keep the potting mixture thoroughly moist. If indoors temperatures ever drop below 15°C (59°F) or more for more than a day or two, water moderately during this period, allowing the top centimetre (0.4 inch) or so of the potting mixture to dry out between waterings. Fertilising: Apply a half-strength standard liquid fertiliser once every two or four weeks, depending upon the type of potting mixture. The more frequent feedings are required for plants in peat-based potting mixture. Potting and repotting: Use either a peat-based mixture or an equal-parts combination of soil-based mixture and leaf mould. Move the ferns into pots one size larger in spring, but only when roots fill the pot. In repotting, burry the rhizome just below the surface of the potting mixture. After maximum convenient pot size has been reached (probably 20-25cm (8-10 inch)), use the ferns for propagation. Propagation: Pteris cretica can be propagated in spring by dividing large clumps. Using a sharp knife, cut the rhizome into sections, making sure that each section carries a clump of fronds and feeding roots. Plant each section in an 8cm (3 inch) pot of the fresh moist potting mixture and treat the newly potted fern in the same way as recommended for a mature Pteris cretica. Production of spores is so heavy that young Pteris cretica are often found growing in the pots of neighbouring plants. 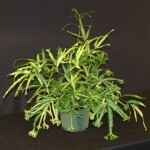 These tiny ferns can be rescued, potted up in 5cm (2 inch) pots and grown on as adult specimens. Otherwise, the spores can simply be used for propagation. Gardening: Pteris cretica is winter hardy to Zone 8a. It grows outdoors in any chalk-free, moist but well-drained soil with plenty of added leaf-mould in part shaded to full shaded positions. The cool nights with temperatures ranging to 10-13°C (50-55°F) and warm days with 16-21°C (60-70°F) will make this fern feel at home. Feed Pteris cretica in spring and summer with fertiliser specifically formulated for ferns. Keep the fern moist. Problems: Problems may appear usually as result of incorrect treatment. Keep the ferns in humid conditions and do not overwater them. Fading of leaf vegetation may occur if plants are exposed to sun or light that is too bright. Leaves turn brown, first on margins and curl if too dry or too little water. Uses: Pteris cretica is commonly grown as an ornamental species indoors as pot plants and in gardens. It make a beautiful ground cover or border outdoors as well as an attractive accents for a room. Add beauty, style and design to courtyards, patios and verandahs with these easy care feature ferns. Its dwarf habit make it perfect for usage in rock gardens. Pteris cretica can be used to create ‘living vertical fern walls’ for small courtyards and commercial office developments. Also can be used in hanging baskets to create vertical height and is suited for shaded balcony gardens and dish gardens. It can be used in combination with other plants in a plant bowl, troughs or baskets. 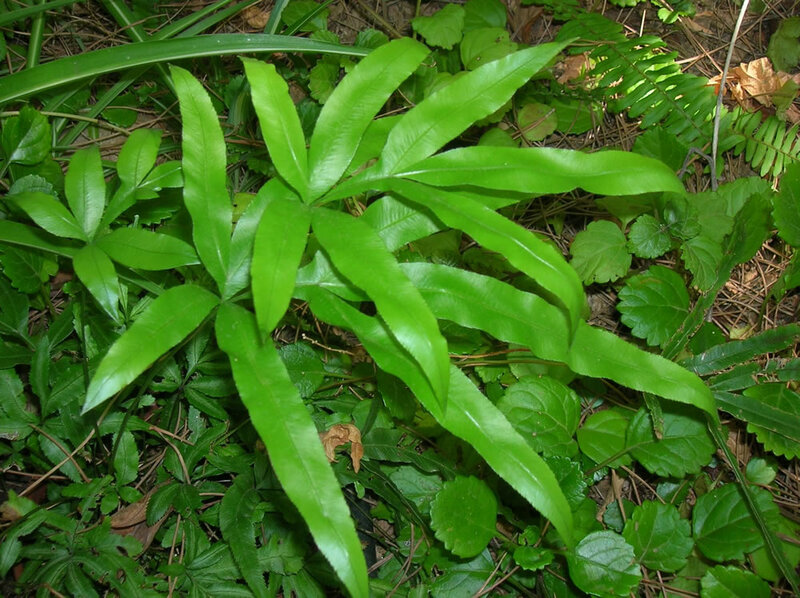 Notes: Pteris cretica is known to sometimes escape from gardens and can be problematic to rare native species if facilitated by shady, humid conditions. Pteris cretica var. 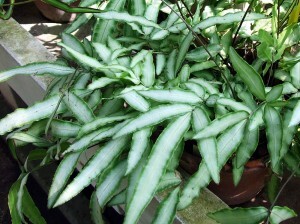 ‘Albolineata’ (White Striped Cretan Brake, Victorian Brake Fern) is a variety that has a narrow band of creamy white on either side of the midrib of each separate pinna. Pteris cretica cv. 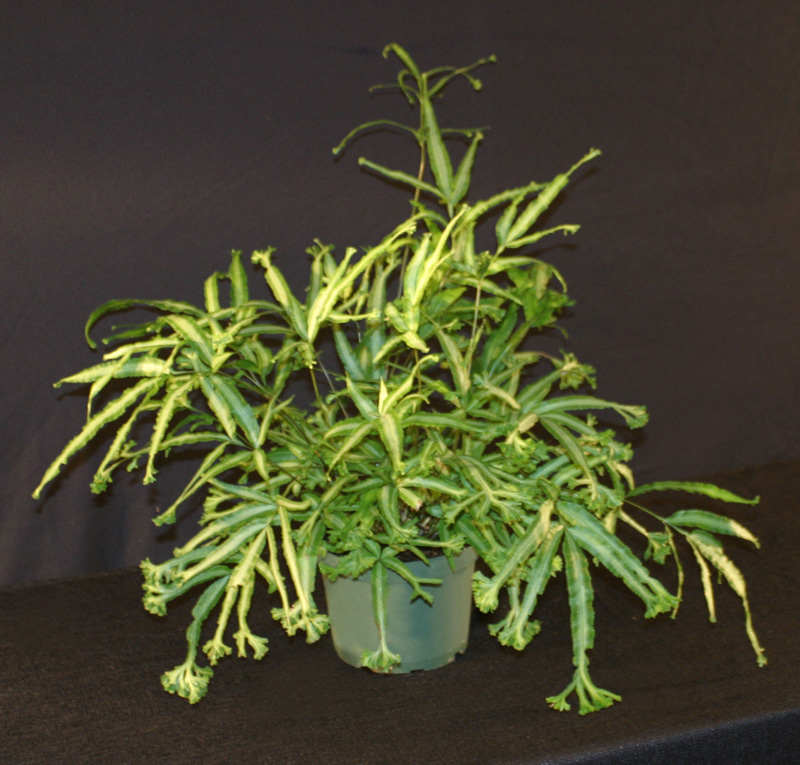 ‘Mayii’ (Variegated Club Foot Fern, Silver Brake Fern) features heavily forked tips with spidery appearance. 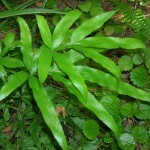 It grows to around 40cm (16 inch) high and wide, so is quite a compact fern. Its pale green foliage has a narrow cream stripe down the centre.